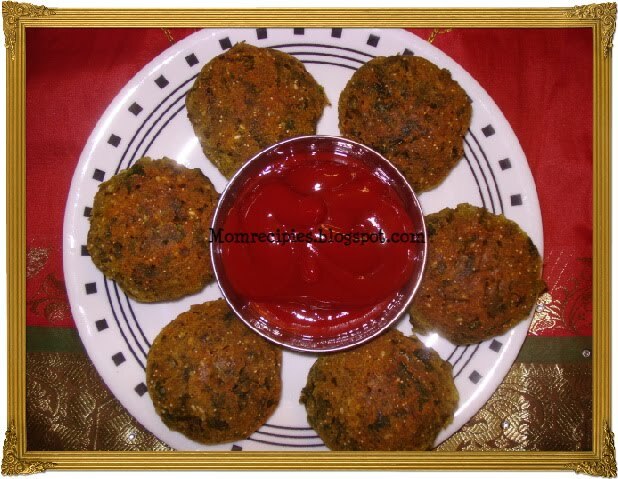 Kothimbir Vadi is a starter / snack that is extremely popular among maharashtrians. I ate this many times when I was small and its my favorite one.I make this quite often.This time I made this for potluck party and it was hit with my friends. It tastes irresistible.Even Kids will like it. I took the idea of steaming this in Idli mould from Sowmyas blog .Thanks Sowmya for the superb idea. Crush the whole coriander seeds and sow them around 1 cm deep covered with a thin layer of soil / Compost. 1) Mix all the ingredients in a large bowl with water except oil to get a thick batter. 2) Ensure that lumps are not there.Pour the batter in the greased trays. 3) For Steaming I have used Idli moulds .You can also use steamer trays. 4) Steam for about 30 minutes till a skewer inserted in the middle comes clean. 5) Let it cool then unmold .If you are using steamer trays then after unmolding cut into slices. 6) Heat oil in a pan and shallow fry the slices till crispy and golden. 7) Serve hot with green chutney or sauce. Thanks for this recipe! I love kothimbir vadi. Just made this.